Black Horse Off Road PR-ACRD - Black Horse Off Road Premium Running Boards - FREE SHIPPING! They fit perfectly on my Acura RDX and give it a whole new look. Great product at a great price! 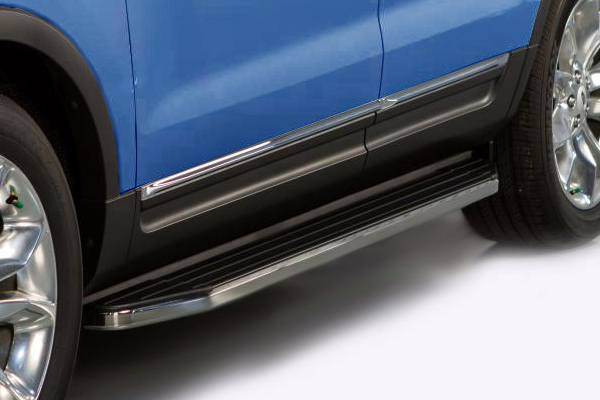 We just love your new running boards. Improved the looks of the car plus made getting in out of the vehicle much easier. The running boards are not oem measured. They are alot bigger than the oem. Now i cannot put the front mudguards because they are too long. I wished it really had the oem size fitment like advertised. Reference # 753-363-141 © 2000-2019 AutoAnything, Inc.